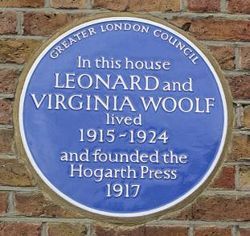 I recently learned that the great Virginia Woolf, and her husband Leonard, founded a small press called ‘Hogarth Press’. This was apparently to ensure that their books, and their friends’ books, would be published and discovered without having to get past the gatekeepers of traditional publishing (sound familiar?). This was an incredibly innovative move on the Woolfs’ part and goes to show that self-publishing has, in one form or another, been around for decades! This prompted me to research which other famous authors published independently at one time or other, and the results of their self-publishing adventures are varied and oh-so-surprising! Self-publishing story: In the late 1920s, DH Lawrence self-published Lady Chatterley’s Lover as its sexual content was deemed “unpublishable” in England at the time. So, he reportedly paid to have it printed privately in Florence. Marketing technique: Lawrence sent hundreds of leaflets to the US and Britain. Result: Made £1,000 within the year. Not a small amount of money for the times! 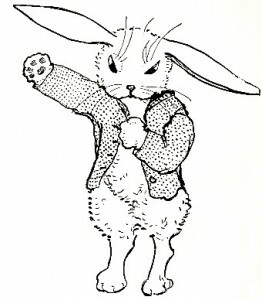 Self-publishing story: After receiving several rejection letters, Potter decided to self-publish a limited edition of Peter Rabbit. Marketing technique: Sold to friends and family. Result: After seeing the printed book, Publisher Frederick Warne suddenly had a change of heart! He agreed to publish a color copy of the book which has since sold over 45 million copies in 35 different languages. Self-publishing Story: 50 Shades of Grey started off as a self-published work – James published the book with The Writer’s Coffee Shop in Australia, a “book-loving community”. The site is a social sharing site as well as a distributor for the books that publish through it. Marketing techniques: The Writers’ Coffee Shop had a restricted marketing budget, and so relied largely on book blogs and GoodReads for early publicity. Went viral the good ol’ fashioned, and cheapest, way – word of mouth. Result: In April 2012 the books were republished by Vintage Books, a Random House imprint. It has since become the best-selling British book of all time (sales have surpassed Harry Potter and the Da Vinci Code) and has reportedly sold over 40 million copies. James was offered $5 million dollars for the movie rights to the book. 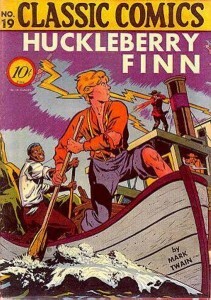 Self-publishing story: After the success of The Adventures of Tom Sawyer Twain began a book about Tom’s more down-to-earth friend, Huckleberry Finn. He set up his own company in order to be able to publish it. It’s possible that Twain was forced to self-publish because the book received a lot of criticism for being racist; and it’s my guess that many publishers wouldn’t touch it. – Twain already had an established platform, and an army of readers willing to buy Huck Finn. – In addition, according to this site, in the summer of 1884 Twain organized a lecture tour that coincided with the book’s release. Once on tour, he decided to make readings from the novel a main feature of the performance. – Twain also allowed The Century Magazine to publish three excerpts from the book in three consecutive issues which no doubt drew a lot of attention to the book. – In 1885 Huck was banished from the Concord Public Library. This attracted a lot of publicity and made the headlines! The book still attracts a lot of media attention for the same reason. Result: The book is still selling in droves – 20 million copies to date. Self-publishing story: Unwilling to find a publisher, Henry David Thoreau self published his debut book, A Week on the Concord and Merrimack Rivers, in 1849. Result: Thoreau printed 1,000 copies using his own money but only sold a few copies. As a result, he was left with debt for years – of course this was in the years before Print On Demand! The book was re-printed 6 years after his death. Self-publishing story: This is an early one – in 1758, Franklin compiled and self-published his advice and proverbs on personal finance. The book popularized such phrases as “There are no pains without gains”, “Time is money”, and “Early to bed and early to rise, makes a man healthy, wealthy and wise”. Marketing techniques: It was originally published as an essay in the last issue of Poor Richards Almanak which had an established audience. 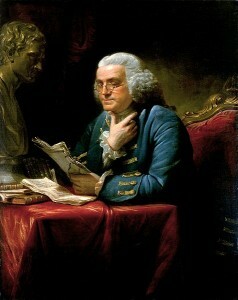 Of course once Franklin became more famous through his political work, the book grew in popularity too. Result: It seems the rules of personal wealth are timeless! 350 years later this book is still selling and is touted as the first – and best – American book on personal finance. So who did I miss?Share in the comments!